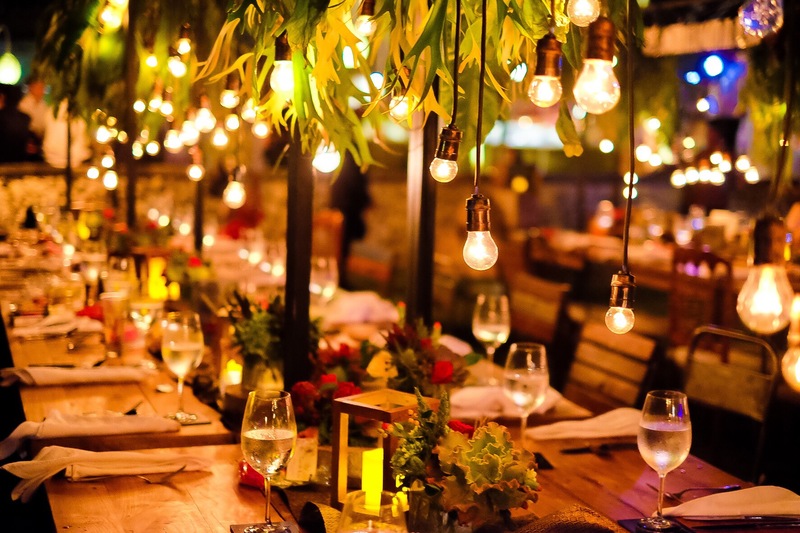 Although event lighting is not often top of the list for event planners, it should be, according to Neil Walker, Production Director at MGN Events. In his view, lighting is key to event success, but it is often an area that people find difficult to get right. Lighting creates atmosphere and gives you the professional edge that events often lack. 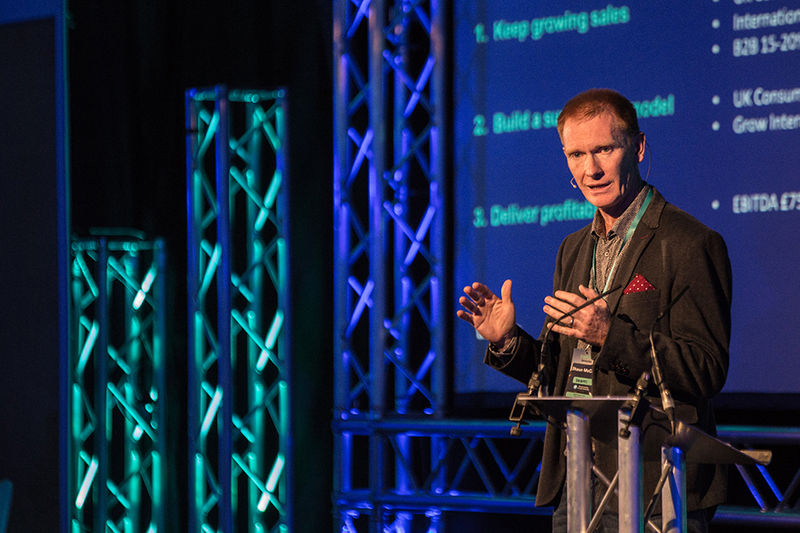 Here are Neil’s top tips to make sure your event lighting creates an impact and provides the wow factor you’re looking for. Think about where you want to put your key lighting points and which parts of the venue are most important in terms of atmosphere and lighting. You will need to work with the client to understand where the action is taking place. A site visit with the client is recommended so that you can get an idea of the size of the venue, where light fixings may need to go, what rules the venue has regarding use of fixings on the walls or ceilings and to understand where the power points are. What equipment are you likely to need? Most modern lighting systems are LED-based in general, but there are still some venues that may use traditionally installed lighting rigs. Your lighting kit will consist of a variety of different types of lighting including uplighters, spotlights and other equipment which, when combined by a lighting designer, transforms even the blandest venue. The key focus is obviously the stage, and that needs to be lit accordingly. Venues often have their own basic lighting systems but in order to add a professional look and atmosphere to your event, ensure that all speakers are appropriately lit on stage with spots and that the audience space is darker and more ambient. 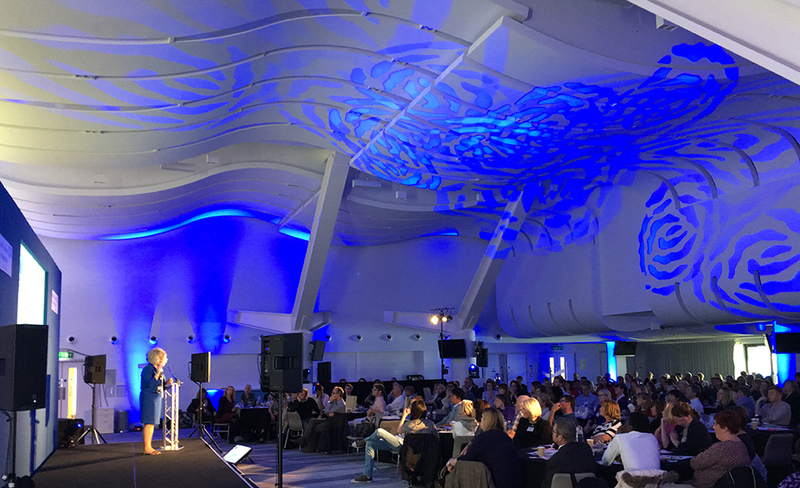 Make sure that the plenary space is lit in a colour that doesn’t detract from any presentations taking place on stage e.g a Congo Blue is often a good option here. However, make sure that the audience lighting is at a level that allows audience members to make notes if they want to. Wash lighting is used to fill a space with light and colour. On a stage, it can be used to light up the space. It can also be used if you have an exhibition space in one area, that you want to highlight. Colour washes can echo your corporate colours or just be plain white light. Uplighters are ground-based lights that can be used to light specific features such as pop up banners or signage. Again they can be used very effectively in different colour combinations to add more atmosphere to an event. Modern uplighters are battery powered, removing any worries about wiring or trip hazard issues. This means that, as long as it is safe, they can be used in areas that wouldn’t have been accessible or would have been considered dangerous with older wired fixtures. Obviously, as part of your planning, you always need to ensure that all equipment, wireless or not, is placed in a sensible safe position. If you really want to make the most of lighting at your next corporate event, then think about effects that can impress an audience. Gobos are lights that beam your corporate logo or patterned designs into your event space. Gobos can be static or moving, or they can fade in and out. If you are holding an evening drinks event then you can use Gobos to project light patterns onto the ceiling to create a magical feel to a room. Alternatively, for a more corporate event, you can simply take your logo (or the event’s hashtag) and project it onto the venue walls. If you want to create a light show, you can do this by using moving Gobos. Your lighting doesn’t have to be plain white. It can reflect your corporate identity and brand colours easily. Colour also gives you the ability to differentiate zones within the event space itself and it’s great for helping people find where they need to be. It is much easier to ask a guest to head over to the “Green Zone” for networking events than ask them to follow the signs. Create dramatic announcements with cued lighting that grabs your audience’s attention and gives them a feeling of excitement. Again, using coloured lighting can really add atmosphere to a room. Use different coloured uplighters and colour washes to set the mood for each part of the event – right through from day to evening if your attendees are staying on for drinks and networking. If you are working with a film or video company to record the day’s proceedings, it is worthwhile ensuring that your lighting people liaise with them over their lighting requirements for filming. They will want to ensure that they film a good record of the event and that there are no dark spots when watching the recording back. This may mean some adjustments to your original plan to ensure that their requirements are also met. All your event lighting can be pre-programmed if you use an intelligent lighting system to adjust your lighting accordingly. This offers the ability to change the lighting throughout the event effortlessly, enabling the day to flow seamlessly. 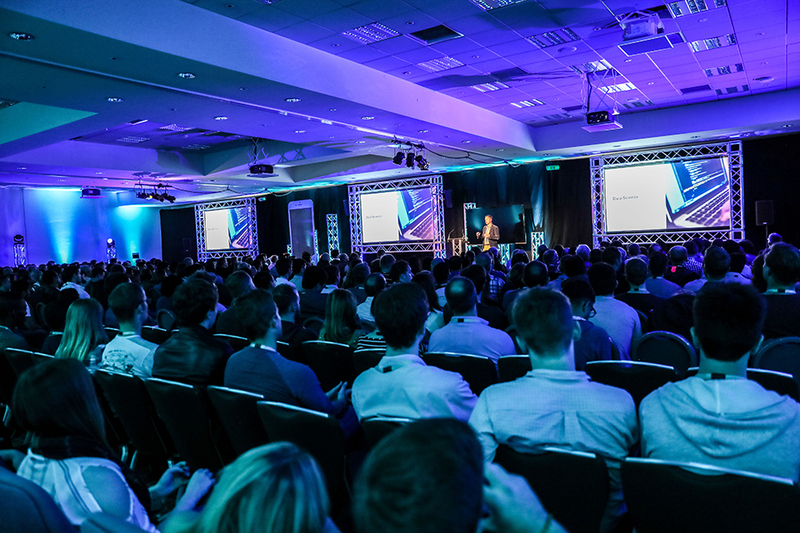 You can use your lighting plan to signpost attendees through speaker times, awards, comfort breaks and any other key sections that need highlighting. Intelligent lighting also offers you the ability to change lighting states, colours and intensities for areas that need attention such as the showing of a VT during a conference. If you are planning an experiential event and want to step it up a little, it is relatively straightforward to link your sound and light systems together so they can “talk” to each other. For example a simple hashtag tweeted by someone at an event, could be picked up, processed and outputted in the form of a siren or you can use a sound alert as a video starts playing. You could also use music linked to your lighting as you change a lighting state from white to green. The flexibility of enabling these systems to talk to each other can result in an engaging and futuristic twist to any event. For a really futuristic feel, and to take your event to the next level, an exciting concept being seen more and more at experiential events, is projection mapping. The ability to take a plain 3D object and project onto its surface with live animation and moving graphics bringing the object to life can really add a wow factor to a presentation or launch. Projection mapping is extremely popular on objects such as vehicles where you may be launching a new electric powered car or something similar. The real key to projection mapping is the design. Spending time planning and designing the map will really deliver incredible results. Remember that to make the best use of projection mapping, you need to get the rest of your lighting right first. Good event lighting can be set up around any size of budget – think about what you want to do first , talk to your venue and take advice from an events planner or lighting designer. Above all, share your ideas with an expert and you will find that even the simplest lighting schemes can impress your guests if they are done well.